If you're planning a visit to the North East what you really need is a handy Instagram Guide to Newcastle. I don't know about you but whenever I'm planning a trip to somewhere new I do a lot of my research on Instagram. If you want to be guaranteed the perfect spot to get a shot of the Eiffel Tower, find the best cupcakes in London or enjoy a great view of the Hollywood sign Instagram is the ultimate tour guide. 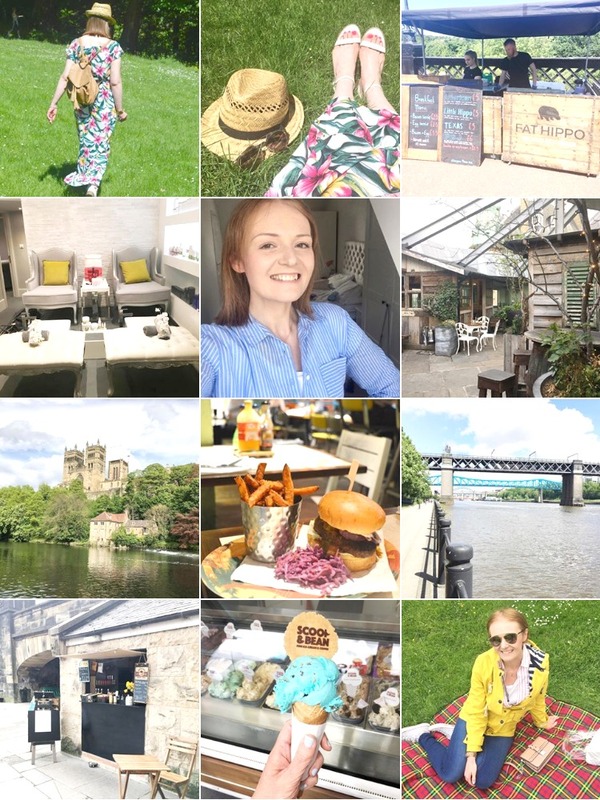 So I thought I'd throw together a few hints and tips to the best Instagram locations in Newcastle, just in case you are planning a visit or you're a local and fancy making your Instagram look a little prettier. I'll let you know the best spots for those iconic photos of the bridges across the Tyne, where to get the most Instagrammable sweet treats and some of the things that have gone viral in the Toon. For more inspiration you can, of course, follow New Girl in Toon on Instagram here! Whilst the Instagrammers of London love to pose outside Farm Girl with their speciality lattes, here in Newcastle we have our own Instagram worthy coffees to share with the world. The Rose Lattes at Navaho in Jesmond are forever popping up on Instagram and it's no surprise as they are beautiful. Scattered with rose petals, the latte taste as lush as they look! A must for any Instagrammer visiting Newcastle. Seeing the Bubble Waffles of Bread Point in Newcastle's China Town pop up on Instagram was enough to send me on a mission to discover them for myself. They're a real talking point and certainly make your Instagram grid pop. Oozing in cream and covered in colourful fruit, they're the must have food for your Instagram grid and they taste so good! Every city has its iconic landmarks and you can't really put together an Instagram Guide to Newcastle without including the Tyne Bridge. Whilst there are plenty of places to take a snap the prime spot for me is from the middle of the Swing Bridge where you get perfectly lit views of the Tyne Bridge. On a good day the reflection in the water can make the most eye catching photo. Forget the angel wings wall of LA that have instagrammers queuing up round the block, here in Newcastle we have our own way to shine in the spotlight. New café Kiln in Ouseburn have a very quirky wall that is a must for anyone wanting to make their grid look fun. The little coffee shop is well hidden within Ouseburn but worth hunting out for that perfect Instagram shot. 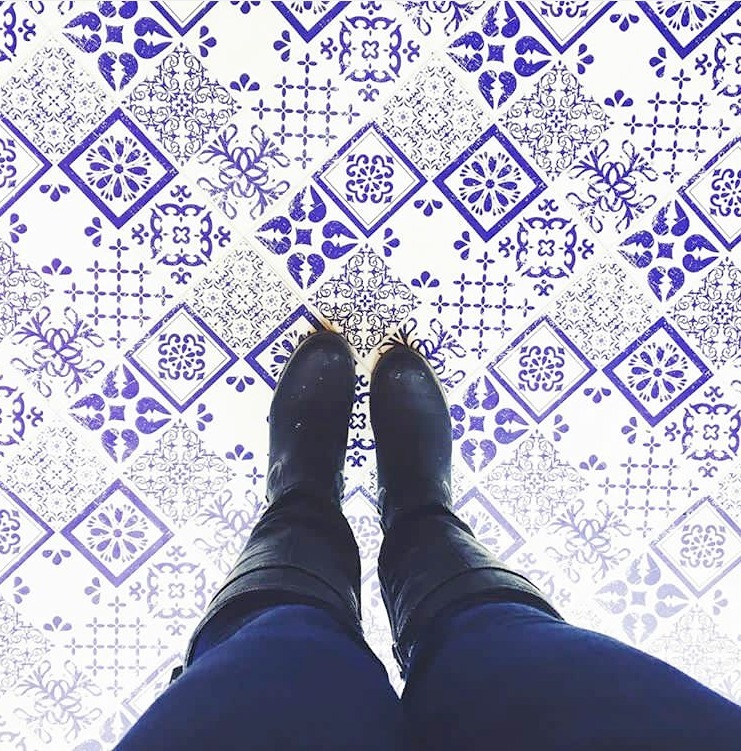 You can't have the perfect Instagram grid without a shot of some pretty tiles and here in Newcastle we have a spot that's so famous for its floors it has its own hashtag. Chinese noodle bar Meet and Treat found that so many customers were taking photos standing on the tiles they invented #meetandtreatfeet which has been a huge success on Instagram. So put on your fanciest shoes and head to Meet and Treat for the best shofie in the Toon. I have always loved Pet Lamb Patisserie in the Grainger Market but recently their cupcakes have got even more instagrammable since the arrival of their Unicorn Cupcakes that have got the residents of Newcastle demanding more! Seriously cute, the perfect excuse to use the unicorn emoji and a guaranteed way of getting lots of likes on your photograph! Can you really call yourself an Instagrammer if you haven't got some avocado toast on your grid? Photogenic brunches are hugely popular on Instagram and in Newcastle we have the most beautiful dishes at Naked Deli. Their café in Gosforth has fantastic lighting and their dishes are beautiful - perfect for Instagram. The streets around Grainger Town in Newcastle are stunning and show off the city wonderfully yet they're surprisingly hard to capture. Busy pavements, endless flows of traffic and tricky angles make it a mission to get the perfect Instagram shot. But take your time, have a good look and you can get some truly stunning photographs that show off Newcastle to all of your Instagram followers. It's well worth the time! Where are your favourite locations in Newcastle for your picture perfect moments? For more Newcastle inspiration be sure to check out New Girl in Toon on Instagram. hehe such a fun post! I have to say the Quayside probably has it for me. I love the inspiration behind this post. Newcastle has so much to offer and it is finding / remembering where to go. Using Instagram as a sort of bucket list is brill. First we need to start a bucket list, although we regularly add stuff to our unbucket list.